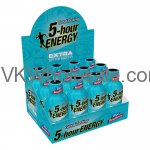 Our wholesale energy supplements include energy drinks, energy shots and energy pills including 5 hour energy drink, red bull energy drink, monster energy drink, tiger energy drink, magnum and more. 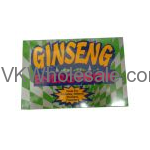 Our wholesale convenience store products are very cheap so that you can save more money. Order our wholesale convenience store items for your energy supplements section of your C-store or gas station and start stacking up profit quickly. 5 hour energy drinks, energy now and monster energy drinks have been our customers’ favorite. 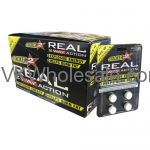 Being wholesale supplier of energy drinks and supplements for convenience store, we strive to give you special discounted rates on all convenience store items. Minimum quantity for "5 Hour Energy Berry 12 Bottles" is 1. Minimum quantity for "5 Hour Energy Citrus Lime 12 Bottles" is 1. Minimum quantity for "5 Hour Energy Extra Strength Berry 12 Bottles" is 1. Minimum quantity for "5 Hour Energy Extra Strength BLUE RASPBERRY 12 Bottles" is 1. 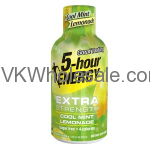 Minimum quantity for "5 Hour Energy Extra Strength Cool Mint Lemonade 12 Bottles" is 1. Minimum quantity for "5 Hour Energy Extra Strength Grape 12 Bottles" is 1. 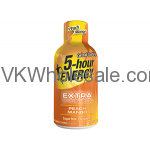 Minimum quantity for "5 Hour Energy Extra Strength Peach Mango 12 Bottles" is 1. Minimum quantity for "5 Hour Energy Extra Strength Sour Apple 12 Bottles" is 1. Minimum quantity for "5 Hour Energy Extra Strength Strawberry Watermelon 12 Bottles" is 1. Minimum quantity for "5 Hour Energy Grape 12 Bottles" is 1. 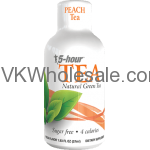 Minimum quantity for "5 Hour Energy Peach Tea 12 Bottles" is 1. Minimum quantity for "5 Hour Energy Pink Lemonade 12 Bottles" is 1. Minimum quantity for "5 Hour Energy Pomegranate 12 Bottles" is 1. Minimum quantity for "5 Hour Energy Wholesale Case Berry 18 Boxes" is 1. Minimum quantity for "5 Hour Energy Wholesale Case Citrus Lime 18 Boxes" is 1. Minimum quantity for "5 Hour Energy Wholesale Case Extra Strength 18 Boxes" is 1. Minimum quantity for "5 Hour Energy Wholesale Case Grape 18 Boxes" is 1. Minimum quantity for "5 Hour Energy Wholesale Case Mix Flavors 18 Boxes" is 1. Minimum quantity for "5 Hour Energy Wholesale Case Orange 18 Boxes" is 1. Minimum quantity for "5 Hour Energy Wholesale Case Pomegranate 18 Boxes" is 1. Minimum quantity for "5-Hour Energy Orange 12 Bottles" is 1. 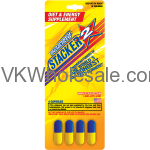 Minimum quantity for "Black Jax Energizer 4 Ct, 24 pk" is 1. Minimum quantity for "Pallet Deal - 5 Hour Energy Mix-n-Match Extra Strength Shots 18 Display/CS - 36 CS/Pallet - $20.50/Display Delivered" is 648. Minimum quantity for "Pallet Deal - 5 Hour Energy Mix-n-Match Regular Strength Shots 18 Display/CS - 36 CS/Pallet - $20.25/Display Delivered" is 648. Minimum quantity for "Pallet Deal - 5 Hour Energy Mix-n-Match Shots 18 Display/CS - 36 CS/Pallet - $20.25/Display Delivered" is 648.